The alphabet is everywhere! 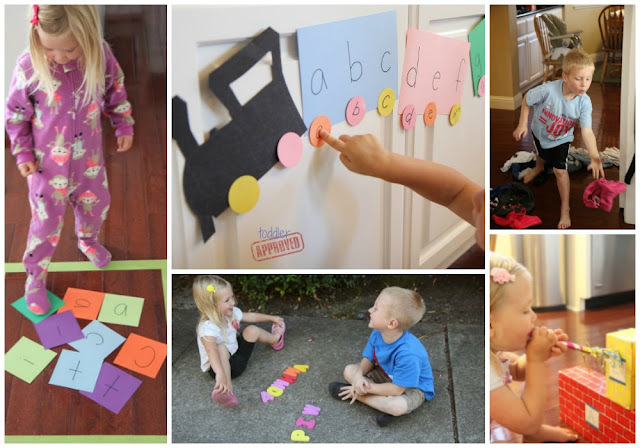 Kids find alphabet letters on stop signs, license plates, cereal boxes, and even on their toys. 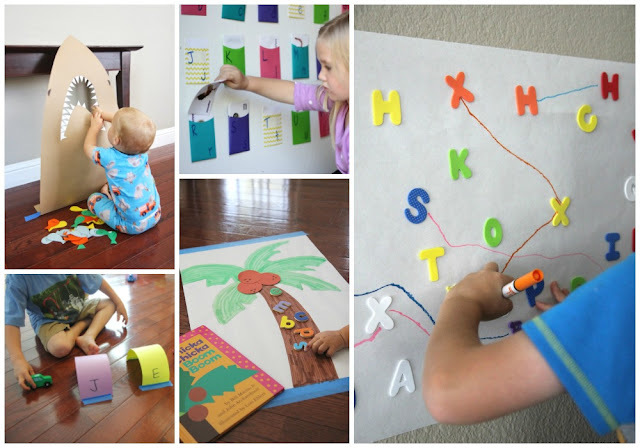 One of the best ways to help your kids learn about the alphabet and explore the letter names and sounds is through simple learning activities and games. 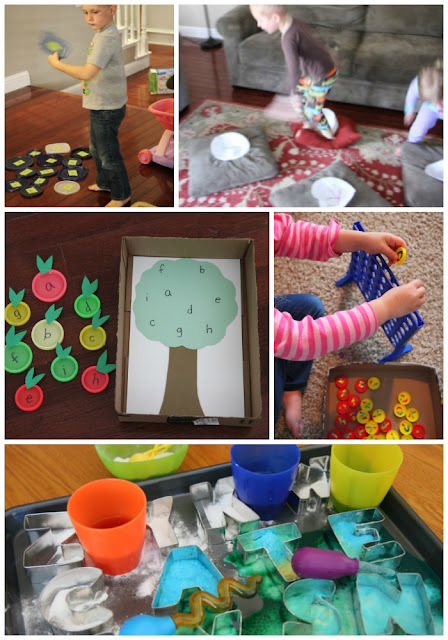 This week we are focusing on exploring the alphabet with toddlers and preschoolers! 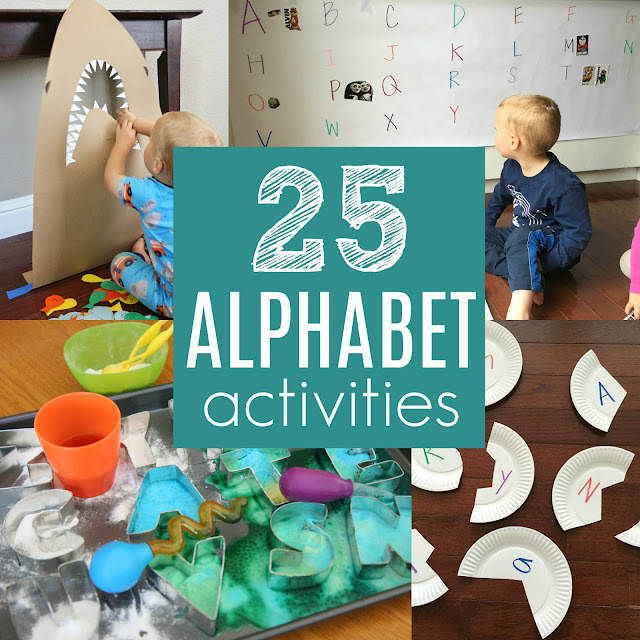 I have 25 different alphabet activities to share with you that we've loved doing at our house! My kids don't usually even realize that we are learning. We like to pair alphabet activities and games with books about the alphabet. After you scroll down and check out the alphabet activities, click on the Alphabet book links and see if any of them sound fun to you. If you have any other favorite Alphabet books, I'd love to hear about them! 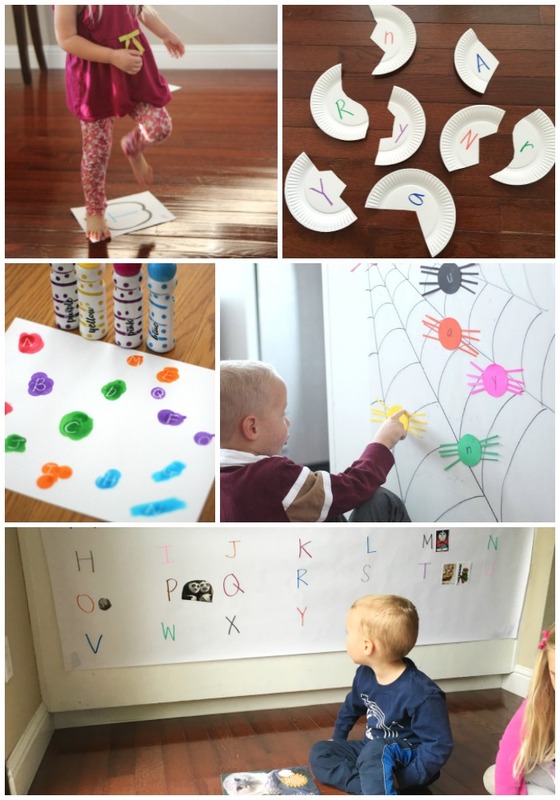 Click on the title of the activity to get the full details and supplies list. Sometimes after looking through a list of activities it is hard to decide where to start. Usually I start by thinking about my child and what they are interested. 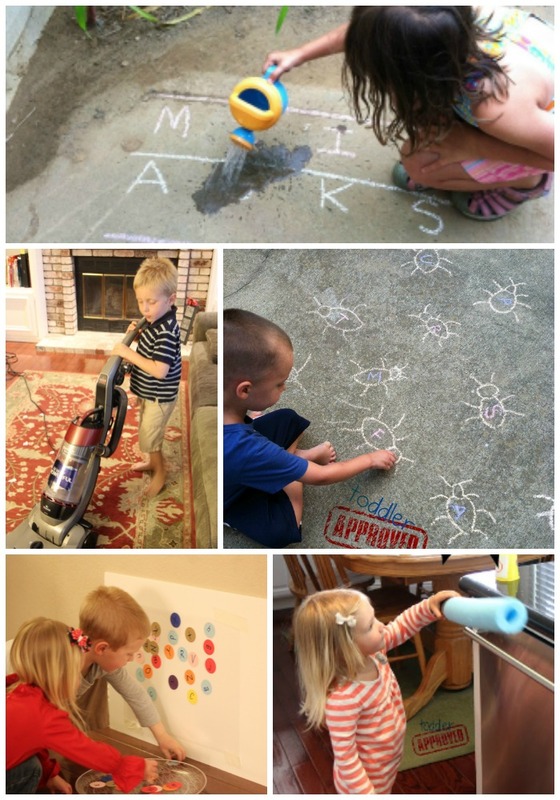 Then, I take ideas that I find and I adapt them to turn them into something that my kids will love. For example, if your child loves construction trucks, then instead of matching wheels to an alphabet truck, make a bunch of construction trucks and match the alphabet wheels to the construction trucks! Taking your child's interests and using them to drive your activities can make a huge difference. Ideas are just... "ideas" and they are flexible, so take them and make them your own. 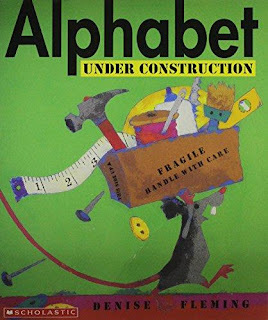 While you're deciding which alphabet activity to do, you may want to read a few of these alphabet themed children's books listed below. This list contains Amazon Affiliate links. No Time for Flashcards has 50 other favorite alphabet books you can check out too. Do you have any other favorite Alphabet activities or Alphabet books you would add? 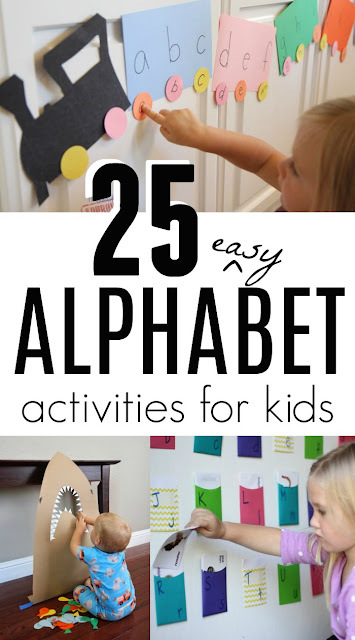 You can check out our Alphabet Activities Pinterest Board for more inspiration if you need it.